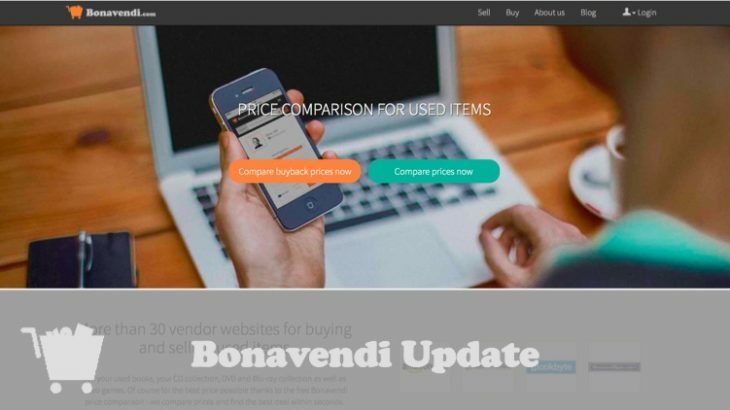 We have implemented some vast improvements and exciting new features to the Bonavendi website you should know about! The improved product search gives you access to faster and more comprehensive title, ISBN and UPC item search capabilities. The improved price query has been significantly accelerated and refashioned so you will receive your results faster, and in a more organized display. The improved price query now gives you more control over your items. In the past, all items were automatically added to your selling cart. Now you have the choice to add or remove an item from your selling cart once the price comparison is completed. The improved selling cart has an all new layout for an easier and more intuitive user experience. You can clearly identify and navigate your items, potential buyers, and sale combinations with clarity. The offers of the items in your selling cart are now updated automatically if left untouched for more than 4 hours. This means if you add items to your cart and do not update them before this period of time, the cart will update them for you upon its opening. This ensures that you always have current price offers. The new “Smart Cart” selling recommendation feature ensures you get the best deal when selling your items by calculating combinations for purchasing vendors. This feature now takes into account minimum purchase and minimum order requirements of individual vendors to make sure you are always eligible to complete a sale. Your new user profile allows for more control and customization of your selling preferences with abilities such as “preferred” vendors for selling and buying. This means only these vendors are included in your price query and “Smart Cart” selling combination recommendations. We hope these exciting new features and improvements give you an even better buying and selling experience with Bonavendi. Please feel free to give us your feedback on the new features, and enjoy the new service!